Choose to have your garters beautifully gift boxed, for safe keeping. You will delight in showing it in years to come, a treasured keepsake from your big day! You have a wonderful selection of colours to choose from, including of course traditional blue wedding garter for your 'something blue'. l can design in any colour you wish and will include a small blue bow on the inside or a tiny blue crystal, to make sure you have your good luck! Your bridal garter is a tiny detail on your big day... but have you thought about how much tradition and romance is wrapped up in this purchase? Most often it's chosen to include 'something blue', but you can add a lucky sixpence bag for your 'something old' too. You can choose to have a garter custom made or bespoke, to your own design. If you could have anything you wished for, what would you choose? I specialise in rare Nottingham lace, but source the finest silks, satins, lace and embellishments from all over the world to offer you a collection that is constantly being updated. I'd Love To Make Your Garter! 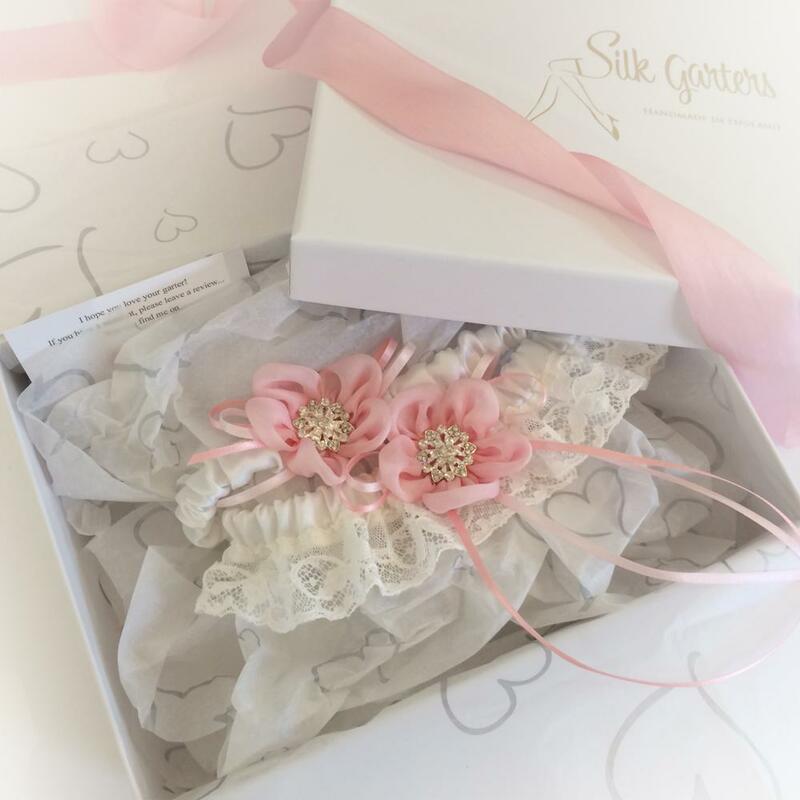 We Ship Worldwide, WEDDING GARTERS UK Our service is unique... We started making lingerie and nightwear in 1984, our wedding garter company 'Silk Garters' was established in 2006 and all our designs are hand-crafted in England, Bedfordshire. 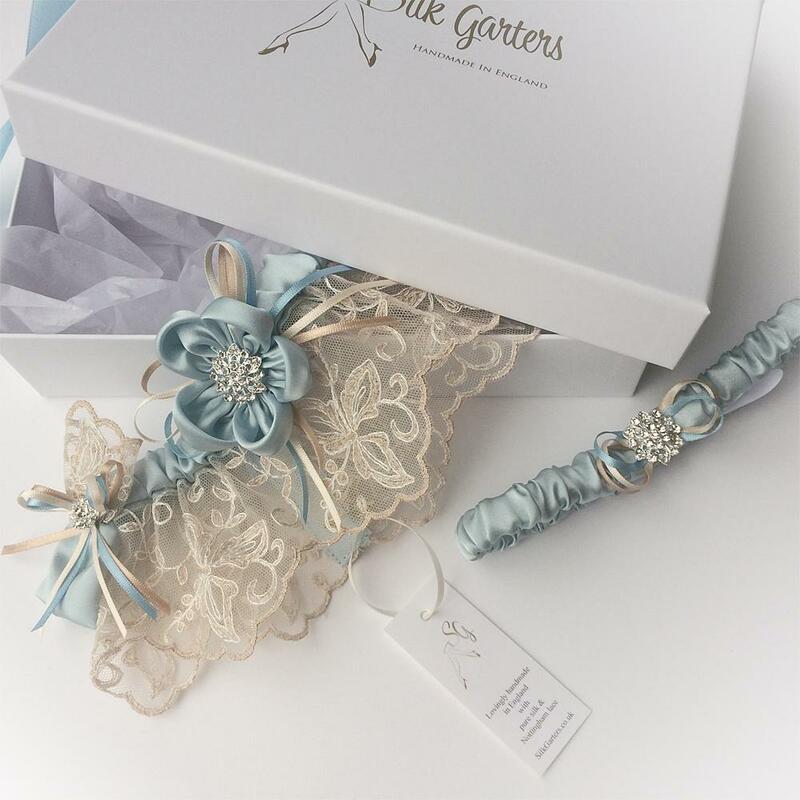 We believe our company has one of the finest collections of wedding garters for sale in the UK and hope you enjoy browsing our site full of pretty, feminine luxuries!